Sign up to join the University of Brighton c-change campaign at the Brighton beachwatch beach clean on Friday 29 April – if you can spare anything between 1-3 hours out of your morning for a very good cause! 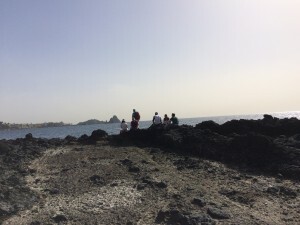 The event is being organised as part of the Marine Conservation Society’s (MCS) Beachwatch and is part of the MCS campaign for Clean Seas and Beaches. Since 1994, Beachwatch has involved local communities and volunteers in a practical project to clean and survey beaches all around the UK. The survey data collected is used by MCS to highlight the dangers of marine litter on our beaches and to tackle the problems at source. Plastic bottles collected at the beach clean will also be recycled into Riz boardshorts made from 100% recycled plastic! The Brighton Beach Clean is being held on Friday 29 April from 08.30 and will take approximately 3 hours (or less, if you can’t stay for all of it). This is a great opportunity for groups of staff and students to come together as part of the c-change campaign, and take part in a fun activity to contribute to the local community and help keep our seas clean! You may be able to volunteer for this during work hours through the University’s Staff Volunteering Scheme – see here for guidance on the scheme and an application form. 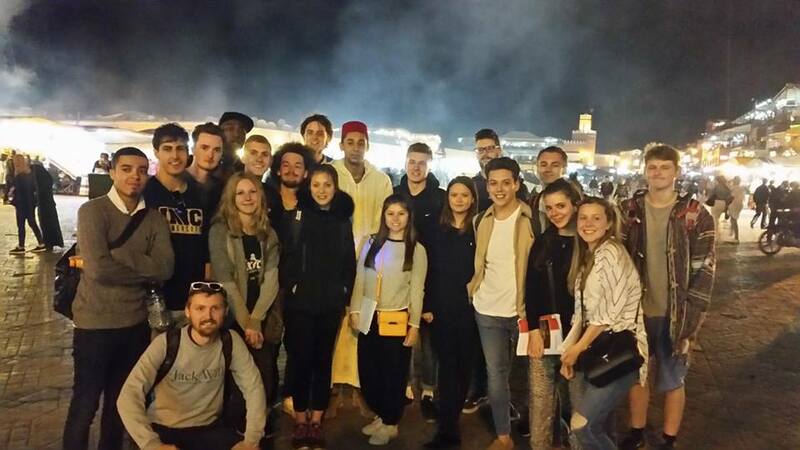 This year our BA Geography students jetted out to Morocco to explore human geography in the field. 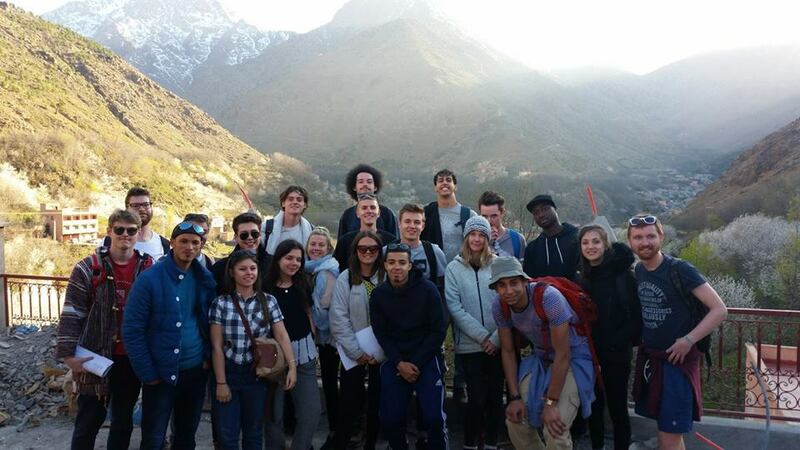 With teaching support from staffmembers Dr Becky Elmhirst, Dr Jason Lim, Dr Mandy Curtis and Dr Nick McGlynn, and deep local knowledge from expert guide Ibrahim, these 20 students spent five days in the famous tourist hub of Marrakech, and two days high in the Atlas Mountains in the valley of Imlil. 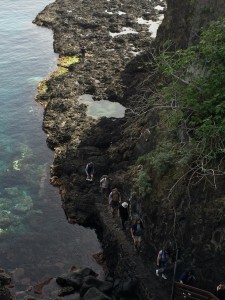 Each day our students undertook different exercises in data collection and analysis, from detailed autoethnographic reflections to the Rapid Rural Appraisal techniques used in international development. Unlike last year the weather was hot and sunny – which just goes to show how unpredictable mountain climates can be. In this blog post I’ll be taking you through what our students got up to (in their working hours at least!). We left the university at 4.30am to arrive in Marrakech at around 10.30am – so by noon we were ready to survey the field. No rest for geographers! 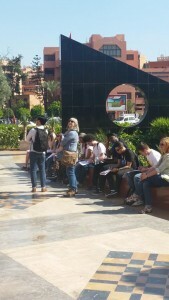 Beginning with observations at the modern-looking Place du 16 Novembre, we then moved on through the city to the quiet Cyber Parc, to the souks of the Medina before we finally ended at the famous Jemaa El Fnaa. Students began to question what kinds of spaces we associate with modernity, and how Orientalist geographies and the concept of ‘The West’ could be critiqued. The word ‘authentic’ was temporarily banned as we considered how geographic imaginaries influence what we take to be ‘authentic’ or ‘fake’. 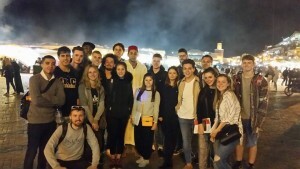 On the second day we returned to the Medina, where students undertook structured observations of key areas around the Jemaa El Fnaa. 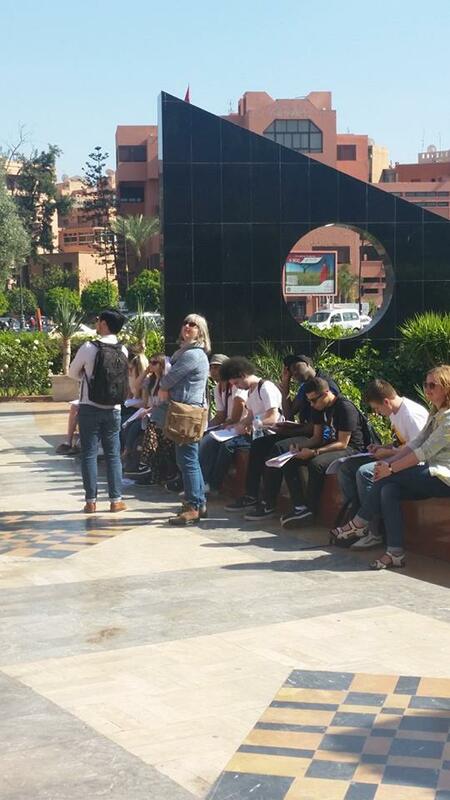 This time they were looking for signs of economic activity, globalisation and the nature of the built environment. We then returned to the area at night to see how ‘temporality’ can be vital in understanding social and cultural geographies. The square becomes even more active at night, with storytellers, performers and food vendors all clamouring for your attention. Consumption and the night-time economy were our focus here. And unlike Brighton, this was a nightscape without alcohol! Our students reflected on their own sensory experiences – how smell, taste, touch and sound can be as important in our conceptions of space as sight is. 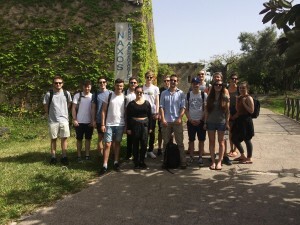 Today was student project day on our fieldtrip to Sicily. I accompanied some students interested in archaeology to this Greek and then Roman amphitheater that I had found yesterday in the middle of Catania. From the outside you would not know this amazing site was there as it is surrounded by modern houses. 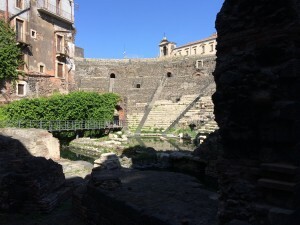 However, once inside the true majesty of the ruins are spectacular to see. Looking forward to seeing what our students made of the site in their presentations tomorrow. 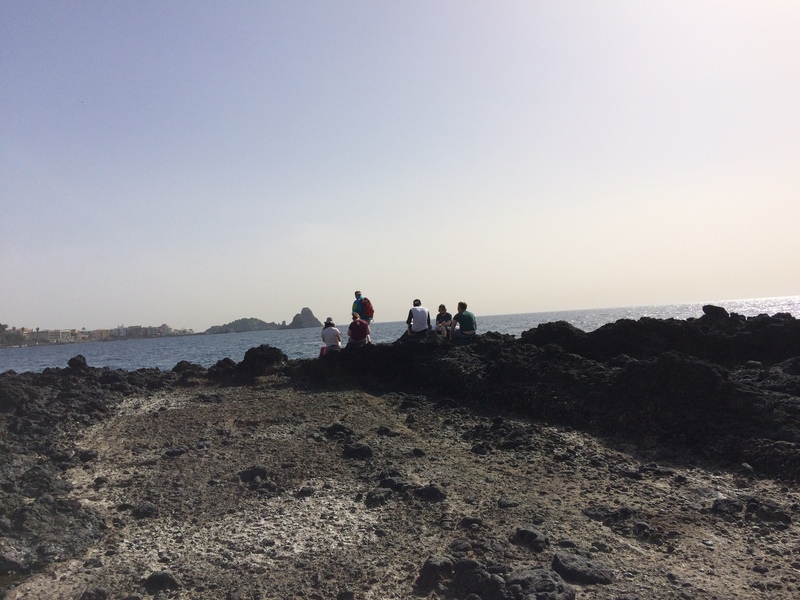 Day two of our Geography Sicily fieldtrip, some 2nd year students testing water quality at Aci Castello. In the background are the ‘Isles of the Cyclops’ from the Odysseus mythology. 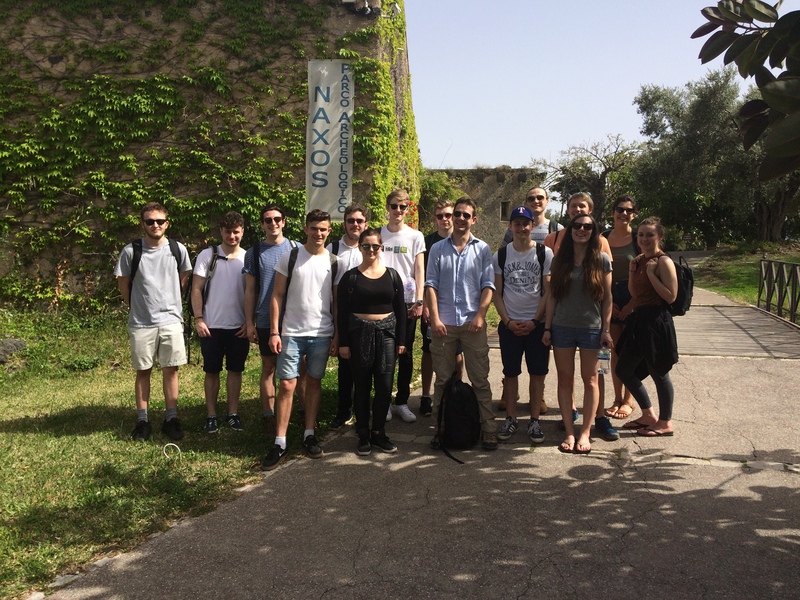 Our first day in Sicily with a great group of 2nd year students at Giardini Naxos, the first Ancient Greek colony on the island. A fantastic day exploring ancient ruins was had by all. 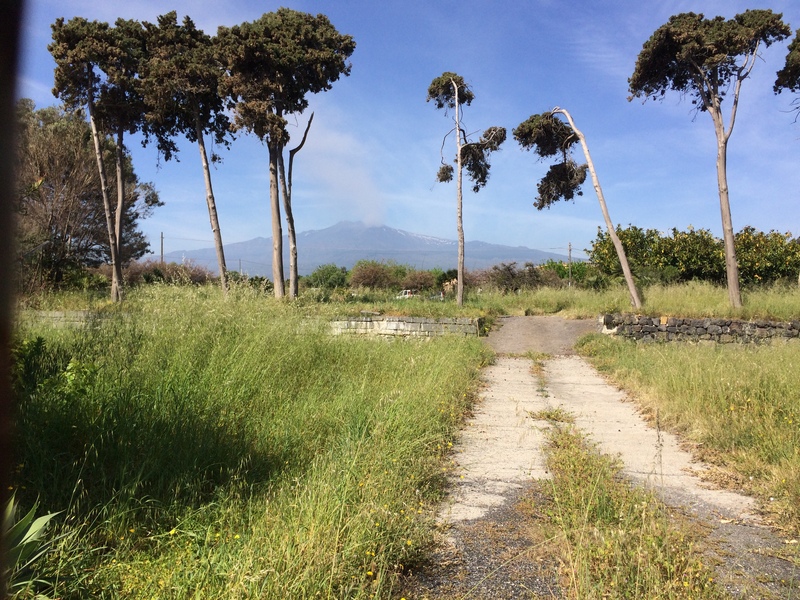 In search of contamination along the Sicilian coast. Scorchio! 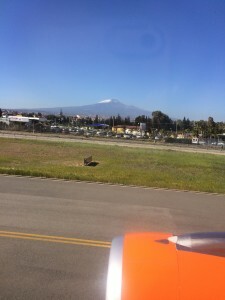 Landed in Catania for our 2016 field trip!